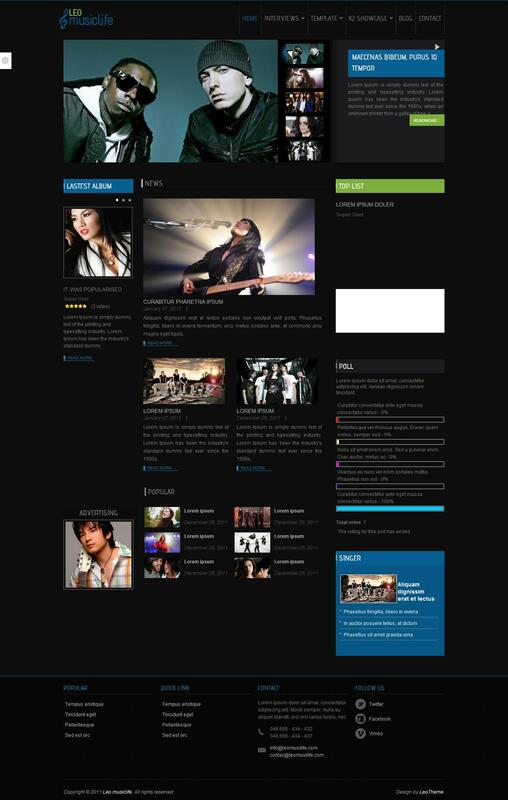 Leo MusicLife - another stylish template for joomla 2.5 music themes from developers LeoTheme. Template made in dark colors and has many module positions. Optimized code template file allows zagruzhatsya quickly in any browser.